Before now when one would think of Lucite, the word STRIPPER or the always tasteful Shauna Sand (totes kidding!) would come to mind. 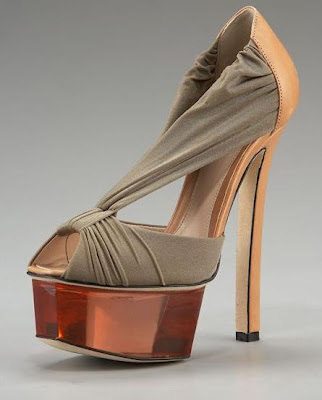 But now Lucite has become quite the Classy trend...Peep these Fendi Lucite Platforms...Va-Va-Voom!